The Smokies were defeated by the Chattanooga Lookouts on Saturday night 9-6 on the road. Tennessee totaled nine hits in the game, but it was not enough as Chattanooga hit the Smokies pitching hard. Trevor Clifton received the start for the Smokies and struggled to find a rhythm. After the Smokies gave Clifton a two-run lead to start the game, Clifton could not hold that as he gave up four runs, only one earned, in the bottom of the first. The Maryville native settled down and ended the game with a no decision after five innings of work and allowing just two earned runs and striking out three. James Pugliese did not fair much better in his inning of relief in the sixth. Pugliese gave up four runs on five hits and struck out two. James Norwood replaced him in the seventh and pitched a scoreless two innings, striking out three. The Smokies wasted no time getting on the board as they scored two in the top of the first inning. 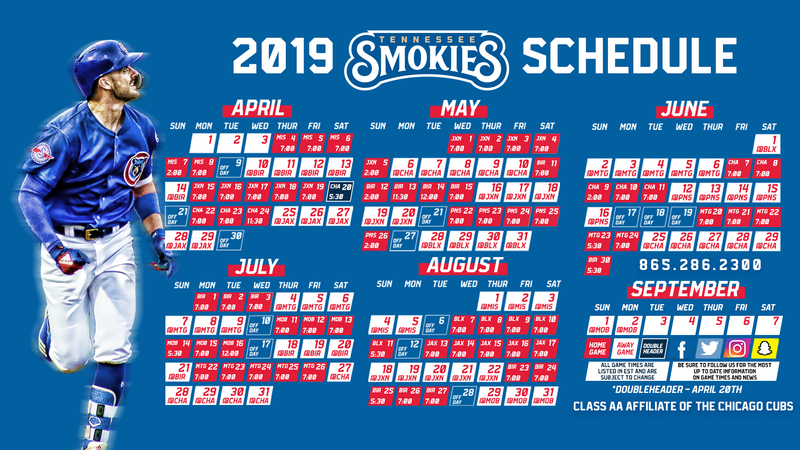 After Charcer Burks walked to start the inning, Zack Short hit his sixth home run of the year, this one to left field, to put the Smokies up 2-0. It was Short's fourth home run in his last 10 games. After the Lookouts scored five runs to take the lead, the Smokies cut that lead in the top of the third. Burks and Trent Giambrone singled to start the inning and Short walked to load the bases. Jason Vosler was the next batter and he hit a sacrifice fly to center that scored Burks to make it 5-3. The Smokies tied the game up in the fourth inning thanks to Burks. Erick Castillo and Trey Martin singled in the inning with an error moving them both to scoring position. That brought up Burks who singled them both in. Down four runs in the eighth, the Smokies attempted to make a comeback. Jesse Hodges singled in Jeffrey Baez, who walked earlier in the inning, to cut the lead to three. That was all the Smokies could get though. Tennessee will be back in action on Sunday afternoon at 2:15 p.m. ET. Duncan Robinson is the projected starter for the Smokies on Sunday as he looks for his second win of the year. The Lookouts will counter with Kohl Stewart.